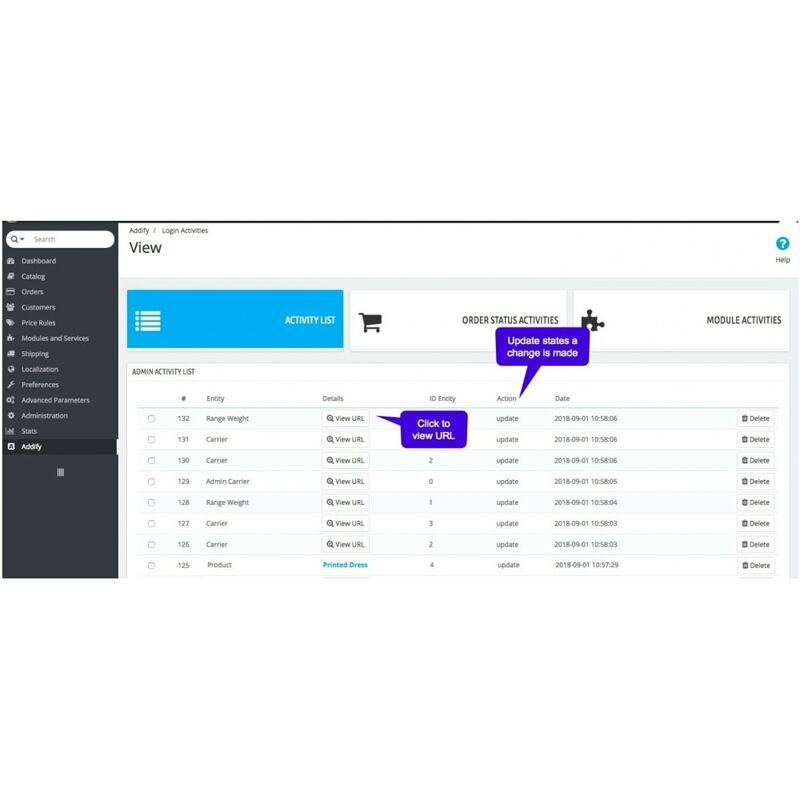 Do you want to know who messed up with your product, category or any order? 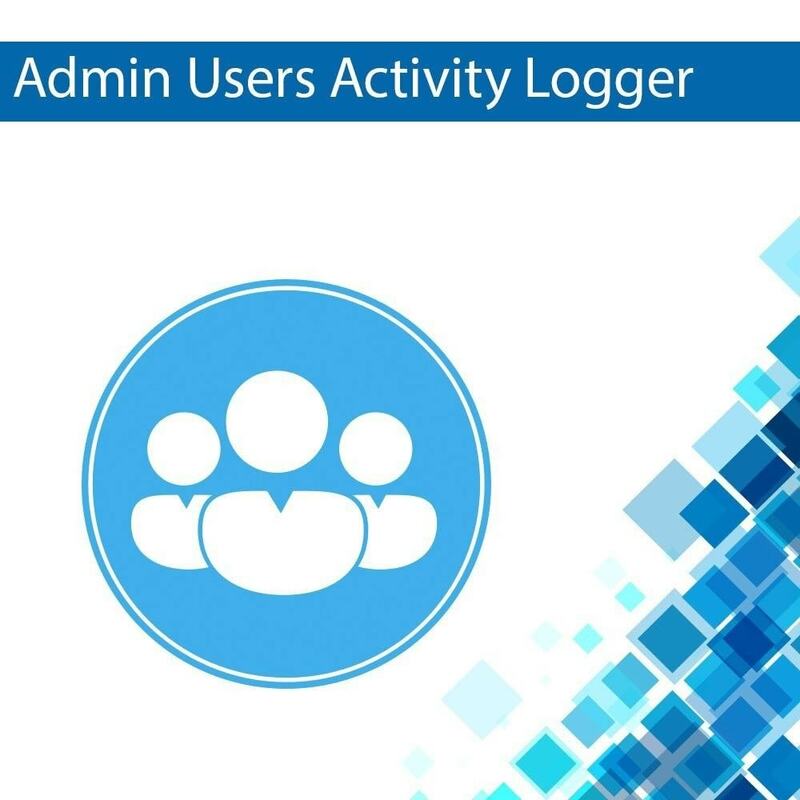 Or you just want to keep the record of the activities of your admin users? 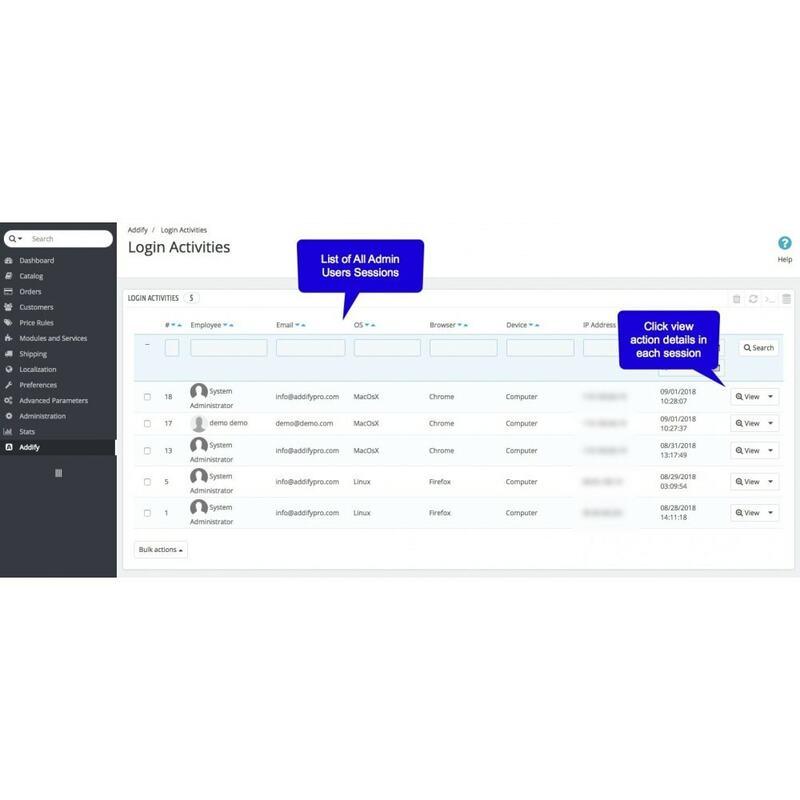 Prestashop Admin users’ activity logger allows super admin / store owners to track the actions of their admin users. 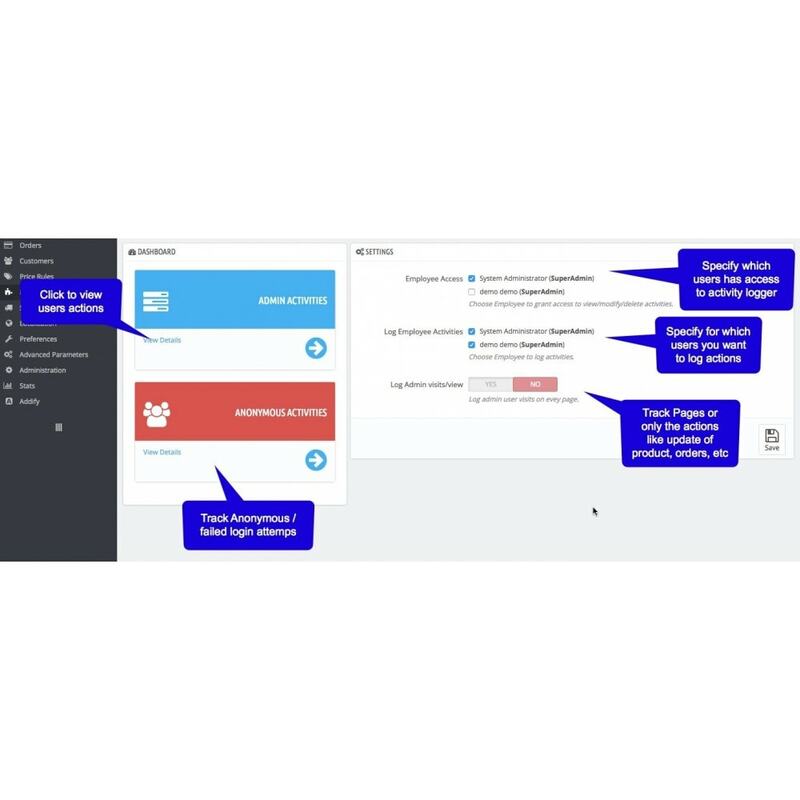 Prestashop Admin Action logger keeps record of activities performed by admin users, the super admin can auto delete the record after some time or manually remove it. 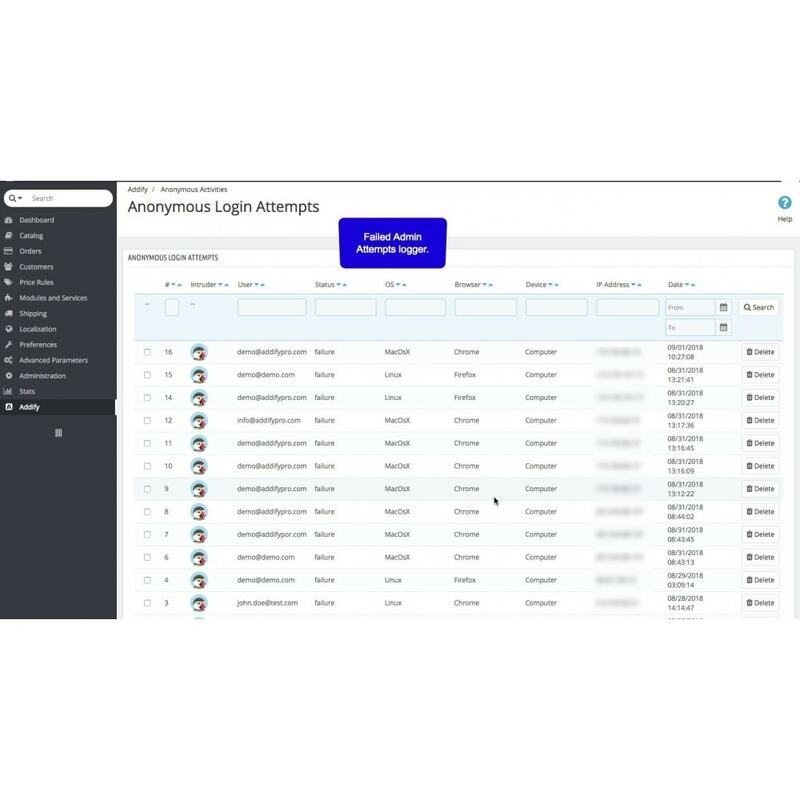 This module keeps record of failed admin login, this helps merchants to track any suspicious login attempts and secure their store. 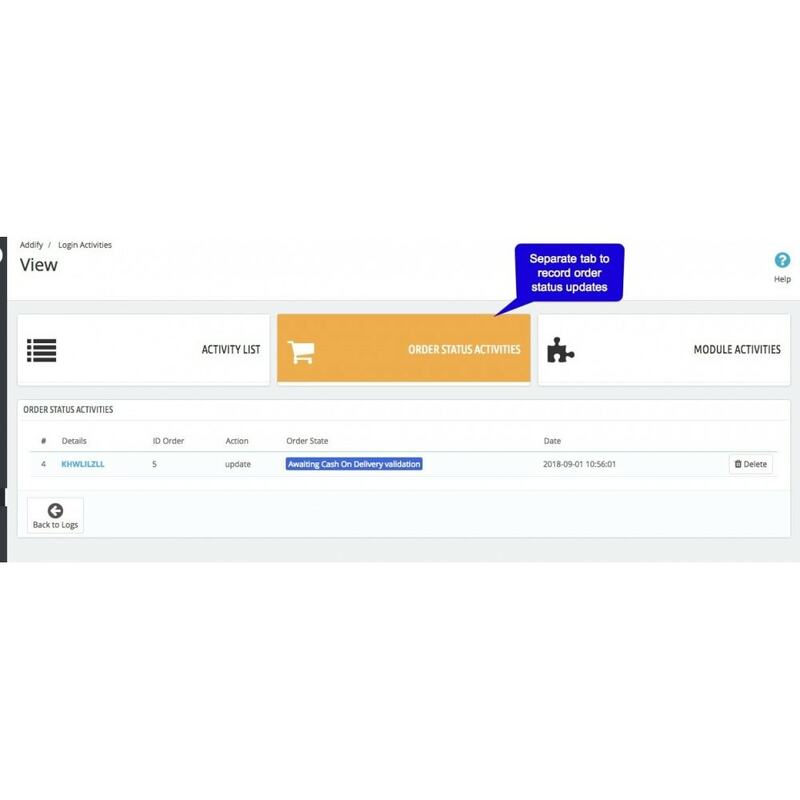 This module only records the updates like if a product price is updated the module will just record the product name / URL and state an update has been made to this product. 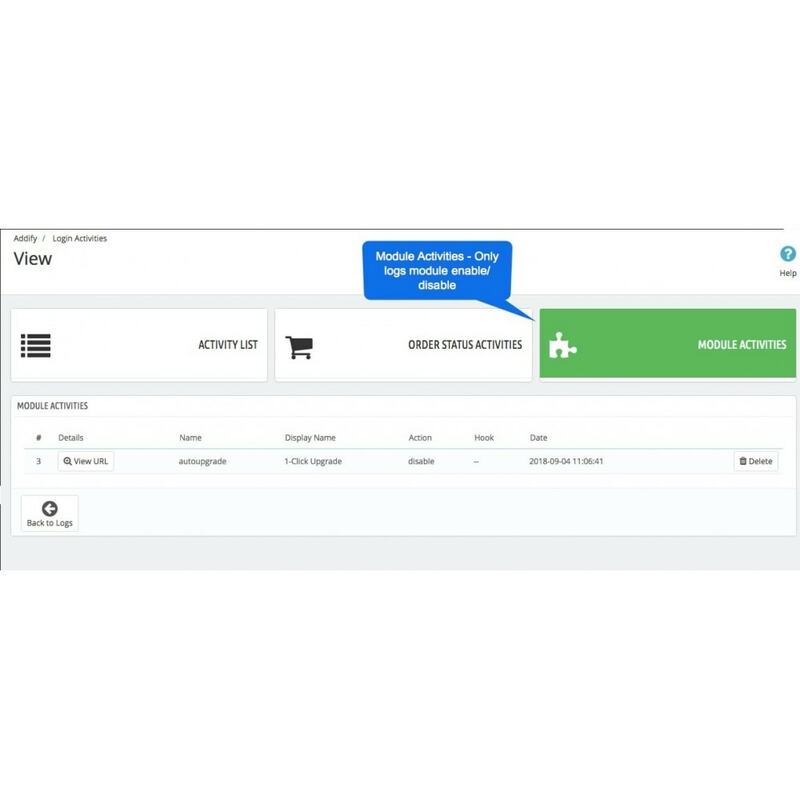 In future versions, we will surely add tracking individual actions and provide an overview to merchants that what has been changed with what.